Web traffic is paramount important ingredient for website or blog success. 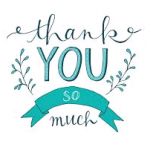 How ever informative content your give or how ever niche topic you choose for your blog, unless it reaches the audience and they appreciate your work and expect more from you, the website have no meaning in terms of popularity and revenue. Web Traffic is the number count of people who visit your website or blog. 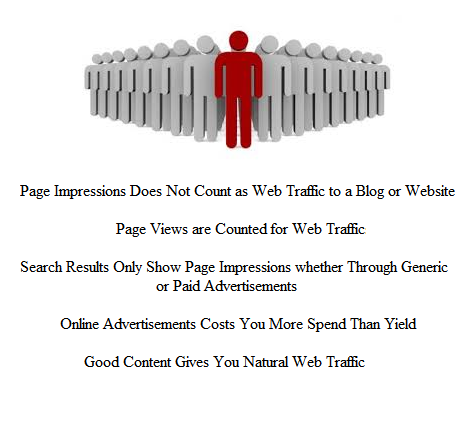 Do not get confused between web traffic (page views) and page impressions. Website or blog impressions on search results either through generic search or online advertisements are not page views. These impressions become page views only when someone clicks on the page impressions. once page impressions are visible on the search results and visitor reaches a page by clicking on your website or blog page impression. Page impressions are not relevant for any kind of revenue through AdSense ads or conversions through affiliate links or product or service sales.Once search engines index you website or blog pages, page impressions will appear for certain keywords in the search results.These page impressions are basic web traffic inflow or visitors . Visitors then convert the blog or website niche. What is the purpose of online paid advertisements? On-line paid advertisements will enhance your website popularity. These advertisements are CPC, cost per thousand impressions and more techniques. These advertisement networks display your ad on search engines display networks and many other popular networks. Choose a high RPM AdSense topic or use techniques to increase RPM. Very popular paid advertisement platform is AdWords by Google. AdWords is a Google company that earns money through advertisements and guarantee CPC page views. For example if you fix a daily budget of $10 with cost per click at $1, you may get thousands of page impressions but only 10 page views for that day because your cost per click is $1 and daily budget is $10. AdWords charge you only when some one clicks on the page impression. These page views may not yield any sale of product, service, affiliate commission but may give you few cents of Google ad revenue for the page views. Even those page views will not earn you ad revenue. Ad revenue depends on cost per thousand impressions that the advertiser pays to Google. That means if Google serves you low CPM advertisements to you website or blog you earn less for page views. So in nutshell it is waste of money spent for online advertisements. you have high quality useful content. Once you follow these first points you can see a stream of web traffic. To double the traffic go for paid methods. Do not unnecessarily spend money for online advertisements unless you try non expensive methods above. Observe the web traffic growth and go for other methods of advertisements. How Relevant Keyword is for Blog Revenue?